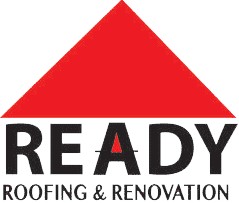 Providing top quality roofing services to Dallas home and business owners since 1971. IN BUSINESS OVER 40 YEARS WORKING FOR YOU! 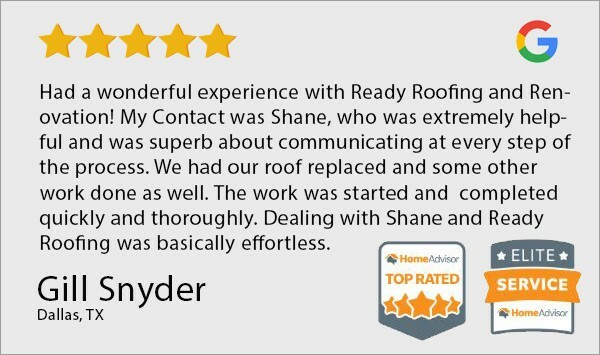 Experience & Professionalism: We have years of experience in roof repair and replacement for every type of home or building. 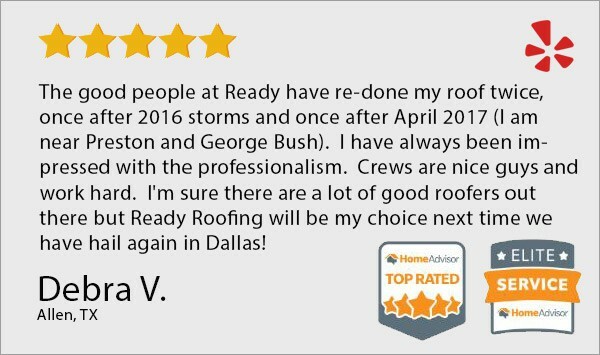 Proven Track Record: We have replaced or installed over 1,000 roofs in the DFW area and our customers are happy to vouch for our service. Accredited and Verified: We've maintained an A+ Rating and Accreditation with the BBB since 2013. Fully Insured: We provide top level insurance to protect you, your home and our equipment and staff. Thorough Inspections: We identify any issues - both current and potential and provide options for repairing, replacing or scheduling a future check. 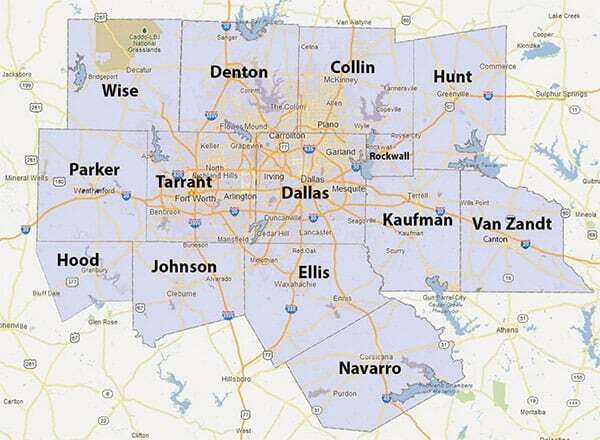 Solid References: We have dozens of customers all around the DFW Metroplex happy to recommend our services. 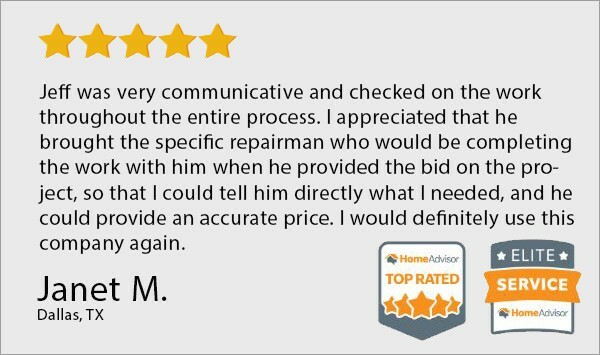 Five Star Service: We are an Elite Service Provider screened and approved by Home Advisor. 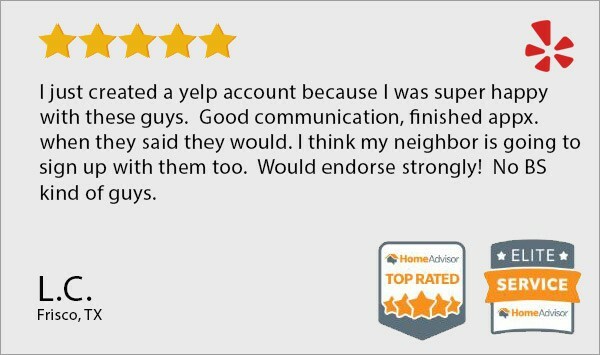 Check our 5-Star reviews. Insurance Claim Help: We'll work directly with your insurance company and help your maximize your claim reimbursement. Competitive Rates: We make every project as affordable as possible and provide full pricing and cost transparency. Spotless Cleanup: Our goal is to leave your home and surroundings clean and debris free. Prep & Clean Up: We provide protective covering for your landscaping ,thoroughly clean the work area and remove all work-site debris. Top Quality Products & Warranty: We only use top grade materials backed by a 20 year installation warranty. 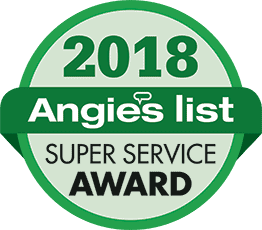 As your Dallas area Roofing Contractor, we take tremendous pride in providing quality roofing installation for homes and businesses in Dallas, Fort Worth and the surrounding communities. 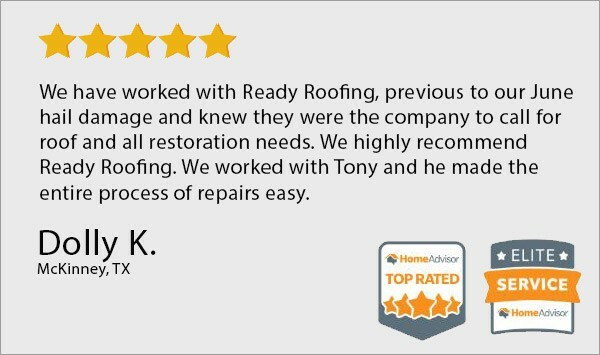 Whether you need minor roof repairs or a total roof replacement, we're ready to be of service to you. ARE YOU IN NEED OF A PROFESSIONAL ROOFING CONTRACTOR? Our Team Is Waiting To Begin Your Project!